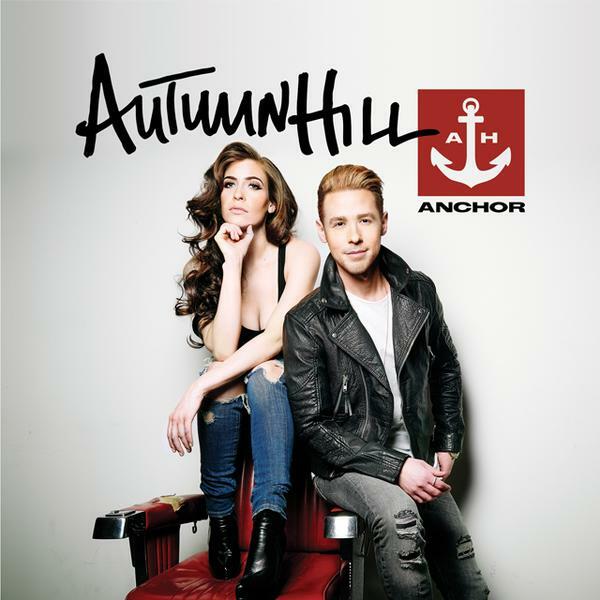 02 JUNE 2015 (Toronto, ON) – Canadian Country music’s dynamic duo Autumn Hill will release their second album, ANCHOR, on June 16 via Wax Records/Universal Music Canada, the country’s leading music company. Available for preorder today, ANCHOR features the Top 15 single Blame as an instant grat track, along with It Don’t Get Any Better Than This. The Alberta-meets-Ontario convergence of songwriters Tareya Green (lead vocals) and Mike Robbins (vocals, lead guitar) in 2012 yielded immediately catchy results and Autumn Hill was rolling, resulting in their acclaimed album, Favourite Mistake, the following year. They honed their signature style across Canada on club stages and the festival circuit, from the main stage at Boots and Hearts, to Big Valley Jamboree, Cavendish, and more. After their stunning duet with Jann Arden at the 2014 CCMA Awards in Edmonton, the pair returned to the studio to record their latest set of songs. “For ANCHOR, we really wanted to step it up and focus on songs that would translate to our live show,” says Robbins. Autumn Hill will launch ANCHOR and kick off a summer of touring with a concert at Toronto’s Adelaide Hall on June 24, tickets available here. Additional dates and details can be found below, along with the latest updates at the band’s sites. To celebrate the release of ANCHOR, Autumn Hill will perform at Adelaide Hall on June 24, tickets available here and at festivals throughout the summer.